Crew Chief: Depends on your definition, we really don’t have what I would say a leader. We all kind of work collectively, but the one I respond to and follow is my father Tony who is one of the founders of the 8 Below. This month we ventured out to South Carolina and visited with 8 Below Racing in search of finding out where 8 Below Racing came from. I’m simply asking the questions that many people have asked of me and merely including them in this article because I didn’t have the answers when I was asked. A young rider in his early 20’s, that can ride the machine and tune it to its peak performance, along with his father who is the mastermind of the operation, can be a deadly combination in this day and age. And we’re learning that it can change the Grudge Game. Originally from the Chicago area I’m told…. Now in South Carolina. Tell us a little bit about -8 Below Racing and how the concept of The -8 Below Racing Team came about? 8 Below started a while back with a friend Anthony also known as Bishop and our other friend Cody. We were all just racing buddies running at the NHRDO events and after a while, we started the business 8 Below Powersports and Performance out in Illinois. 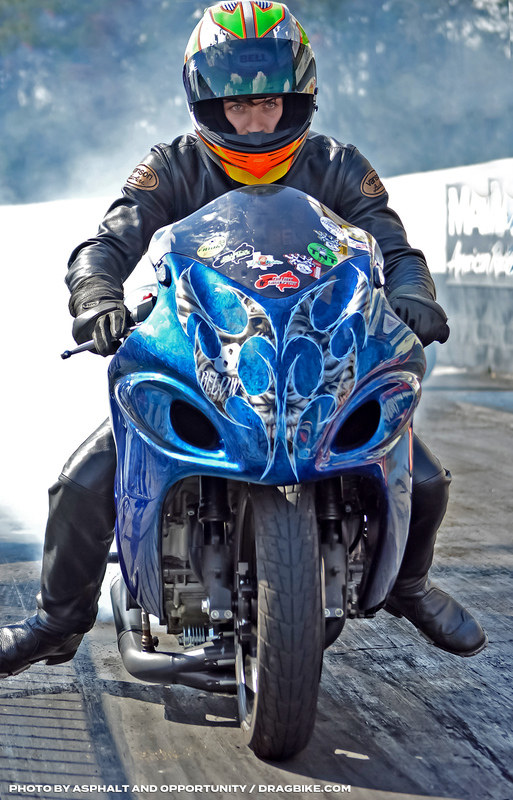 Tell us how old you are and how you got into tuning and racing motorcycles at such a young age. I’m Currently 22 years old. Back when I was younger, I was into motocross, but after awhile I decided it was too dangerous for me so I kind of just quit on it (Kind of ironic now that I’m doing something a lot faster now). 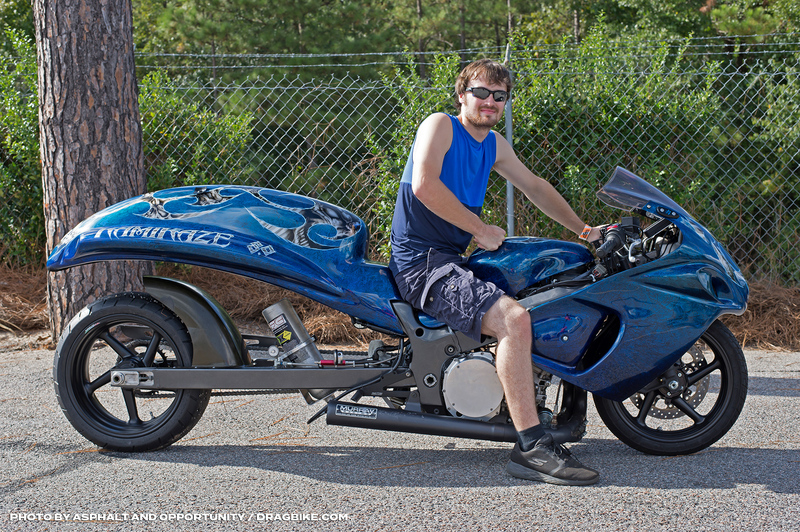 I started out on a little cbr600rr back in 2010 when I was 14 and later moved on up to a Suzuki Hayabusa. Back then we had my fathers green bike and now our bike known as Kamikaze, but I wasn’t always interested in the computer side. Since we went to the Holley standalone I began reading up on the system and I learned as much as I could and I was entrusted by my dad to do the wiring and tuning on the Holley bikes. I met you guys for the first time in roughly 2017 at Darlington. It was the first time that I had seen Kamikaze on the Grudge scene and everyone instantly knew that the machine had the potential to become an instant contender. In 2018, You were competing against some of the toughest competition in Grudge and you were competing on a street tire vs bikes that were running flat slicks. 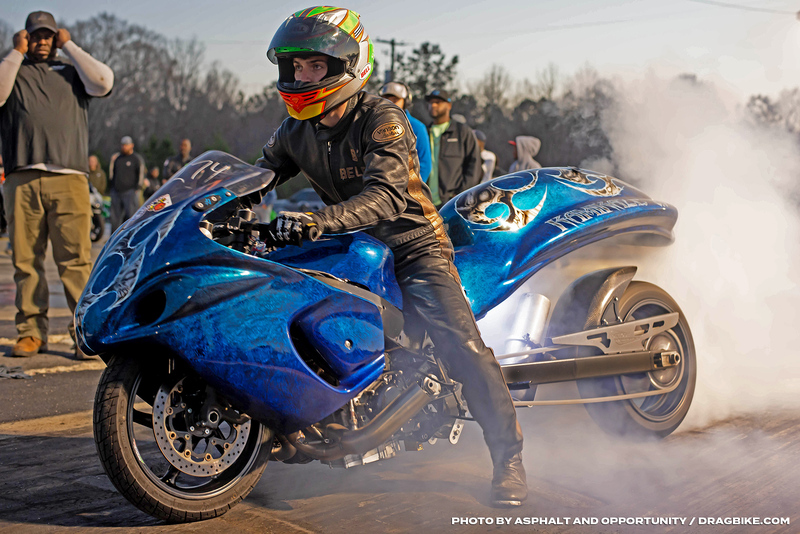 Last season, you took home a BIG 8 title at Piedmont Dragway in North Carolina … What was it like to be the first street tire bike to win it all? Honestly, it was satisfying, but I’m not big into the celebration side of racing. 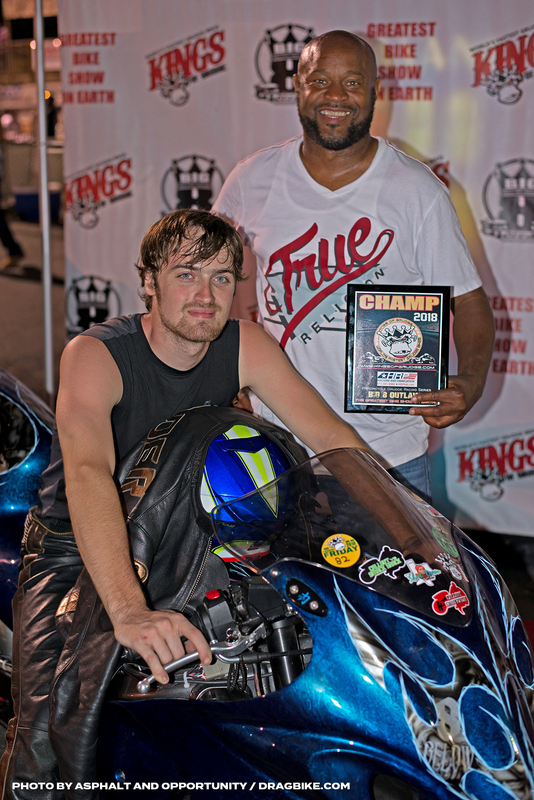 To be the first person to win the BIG 8 on a street tire is quite an accomplishment I believe, especially going up against other bikes running slicks. To each his own of course, but I believe we will forever and always be sticking to the street tire on Kamikaze. I have to thank Dorian Wallace who brought Kamikaze out of the corner of the shop and said “let’s build this and go racing in the south” he is a big part of the program’s success. Several other fast machines are coming out of the 8 Below Camp. Matt Parham on “Hit’em Hard” is a top notch competitor in the Heavy Hitter (200 pound) category and he’s one of the front runners every race. What new can we look for from -8 Below this racing season? We have had plenty come through the shop… Matt included along with some other people, but for new builds. You’ll just have to wait and see what surprises we got coming and believe me we have some surprises coming. Being Asphalt and Opportunity… we made roughly 15 racing events in 2018 and I know for a fact that -8 Below was at every one of those races. How do you maintain that racing tempo… what’s in store and where can we find you at during the 2019 season? We definitely put in our Time, Blood, Sweat and Tears last season. 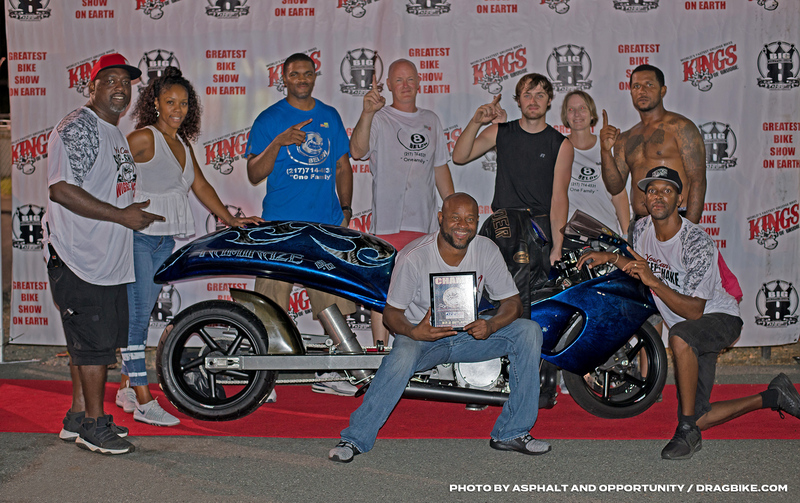 We try our best to make it to all the Kings of Grudge events and a few of the smaller ones, but we are planning on venturing out a little bit this year. Both me and my father work full-time jobs so we don’t have much downtime. We work from 4 a.m. to 9 p.m. every day to try and get everything accomplished to keep up. The 2019 season you can always find us at the Kings of Grudge events and the new Major League Grudge events.